At Last! 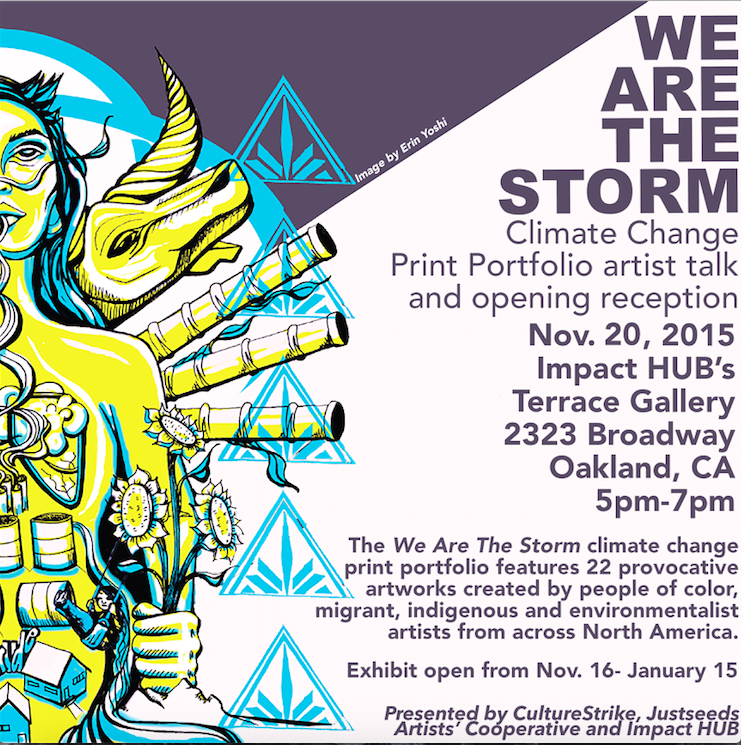 The We Are The Storm Portfolio is launching this Friday in Oakland. If you are in the Bay Area, you should check it out: 22 new powerful works by Justseeds and Culture Strike artists addressing the work that small frontline groups are doing to build resilience in the face of climate chaos. We’re having the opening exhibition of the portfolio in Oakland at the Omi Gallery/Impact Hub this Friday November 20th from 5-7pm, Please be there!